Laden with suitcases suggesting a seventeen day trip, I arrived in Little Rock, Arkansas where I was met by Allison Holland and Glenda Fread. We drove through the rush hour traffic to arrive at the Double Tree Hotel in downtown near the Clinton Presidential Library and the Old State House where we were met by Conference Co-Chair Gretchen Magee. Jerrie Townsend, State Regent “Fanned the Flames of History” with excellent speakers and workshops as well as committee and chapter reports. She also made certain we fanned ourselves with beautiful and decorative fans as favors. Thanks Arkansas Daughters for your gracious hospitality. 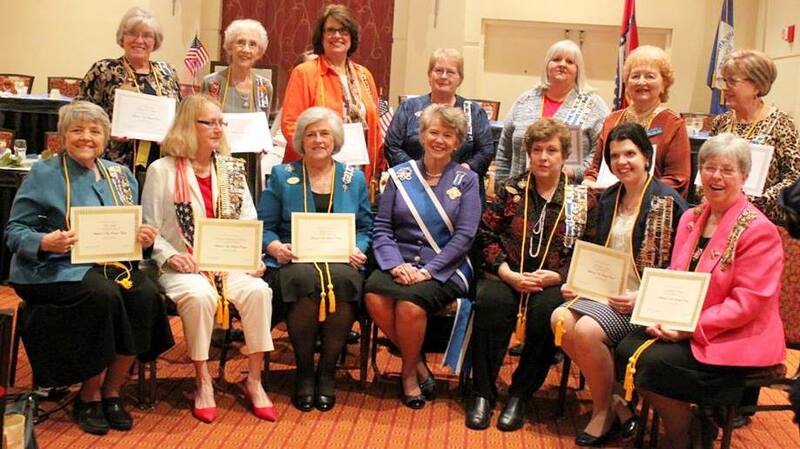 The 110th Arkansas State Conference commenced on Thursday morning, March 29, with the annual meeting of the Cameo Society. Members and guests were entertained with a program about antique jewelry and how to add pieces to your personal collection. Luncheon was followed by the business meeting highlighted by the election and installation of new club officers. The State Board of Management met on Thursday afternoon to initiate business proceedings for the conference. It was followed by a lovely Memorial Service conducted by State Chaplain Sharon Wyatt. Formal activities were called to order Thursday and members of the Jacksonville High School JROTC participated as the Honor Guard. Arkansas Daughters welcomed greetings from special guest President General Ann Turner Dillon and we introduced Stephanie Taylor, her personal page for the conference. Greetings were also received by the Office of Arkansas Governor Asa Hutchinson, the Arkansas Society of the Sons of the American Revolution, and the Arkansas Society Children of the American Revolution. Special guest Honorary State Regent Genora Canon from New Mexico was introduced. On behalf of the Arkansas Secretary of State, Mrs. Dillon and Mrs. Canon were presented with an official Arkansas Traveler Certificate. 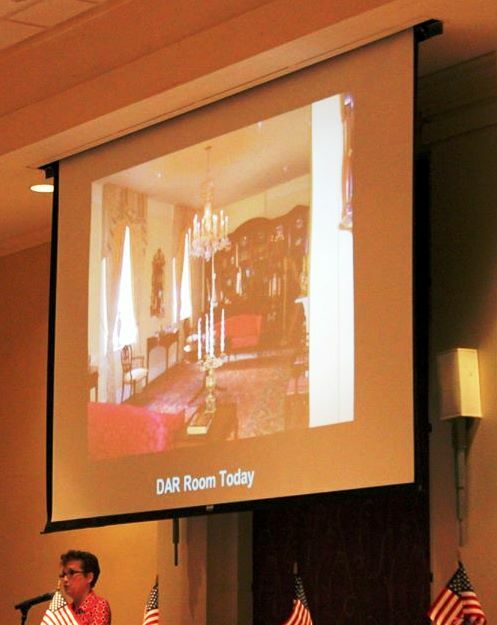 The keynote address was delivered by Michael Polston, Director of the Museum of American History in Cabot. He discussed his ongoing efforts in The Arkansas Great War Letter Project and illustrated his remarks with excerpts from letters written by Arkansas soldiers during World War I. The evening ended with a delightful reception. Saturday morning’s business meeting began with the nominations for state officers to serve for the 2018-2020 administration. The remainder of the morning heard reports from state committee chairs, district directors, and chapter regents. 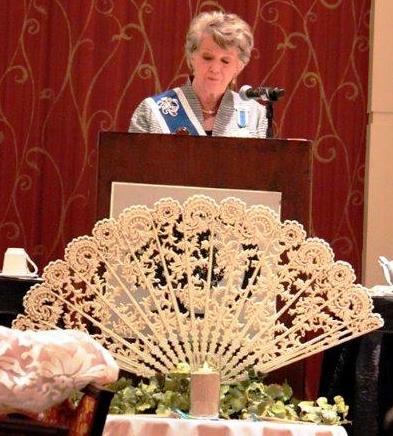 At Friday’s luncheon, members and guests received greetings from Honorary New Mexico State Regent Genora Canon. Jo Ellen Maack, Curator of the Old State House Museum, fanned the flames of history with her program on DAR and the Old State House. She recounted the history of the preservation of the old Arkansas Capitol Building and the efforts of Arkansas Daughters and other hereditary organizations in that successful campaign. Mrs. Dillon and Honorary State Regent Fern Taylor presented certificates to those chapters achieving 100% participation in the President General’s project. Mrs. Dillon also participated with State Coordinator Barbara Lewis to recognize the 13 Arkansas Daughters who were successful completers of the New Member and New Horizons courses. Sandra Pollack, from the NSDAR Office of Development facilitated a workshop for the attendees on Conflict Resolution. Afterwards, Mrs. Dillon and Mrs. Pollack welcomed Founders and Heritage Club Members to a reception thanking them for their support of DAR. The evening concluded with the announcement of the newly elected state officers. Following the benediction, the receiving line participants had an opportunity to meet and greet members and guests. Mrs. Dillon departed early Saturday morning heading back to DC for full calendar of work at the national office. As the final business session convened, Page Chair Cora Burch recognized the outstanding conference pages. The final event of the 110th state conference was the Celebrate Excellence Awards Ceremony. State Historian Ashli Ahrens announced Nancy Dowdy as the Outstanding Teacher of American History. American History Chair Jayne Spears recognized the winners of the American History and Christopher Columbus Essay Contests. Dr. Allison Holland, DAR Good Citizen Chair, introduced the 1st place recipient, Clair Bunn. 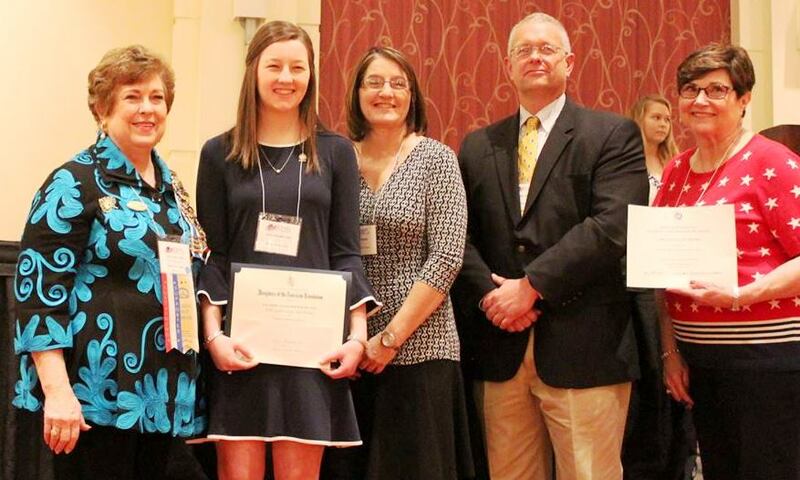 Six state scholarships were awarded this year. Those students were introduced by state DAR Scholarship Chair, Mara Cawein. The conference concluded with a reception honoring the students and their families.